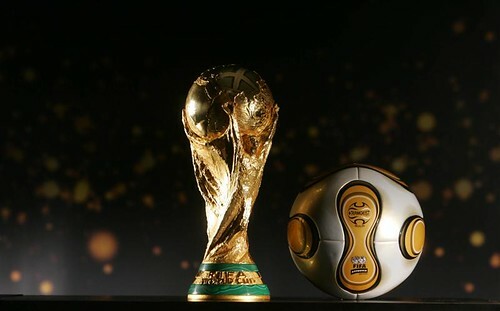 The Teams: Soon, 32 teams will be converging at the 2010 World Cup in South Africa. Over the next few months leading up to the biggest sporting spectacle on Earth, I will be profiling each team. I will address the team’s history, their recent results, and their probability of succeeding in 2010 in South Africa. I will let you know which players will amaze, and which will suffer from malaise. If you read this entire series, you will be ready for the Cup. The Cream: I know that the question on many spectators’ minds is which players on each team will be the crucial stars who will be expected to lead their nation to the Final podium. Well, when I analyze each team, I will also give you an in-depth glimpse (oxymoron, I know) into which men will be most important to their squad. I will also proffer some poor predictions about which players will look like they have feet of gold, and which may stink like mold. The Dream: The ultimate question every supporter is asking right now though is: “Will my team’s dream to win the World Cup finally be fulfilled?” Well, the truth is that no one knows the answer to that question yet. Despite that fact, I will still opine about each team’s odds to end up hoisting the Jules Rimet Trophy. Then, once the games begin, I will be commentating on all the action and informing you of every result. It is going to be a very, very exciting year.